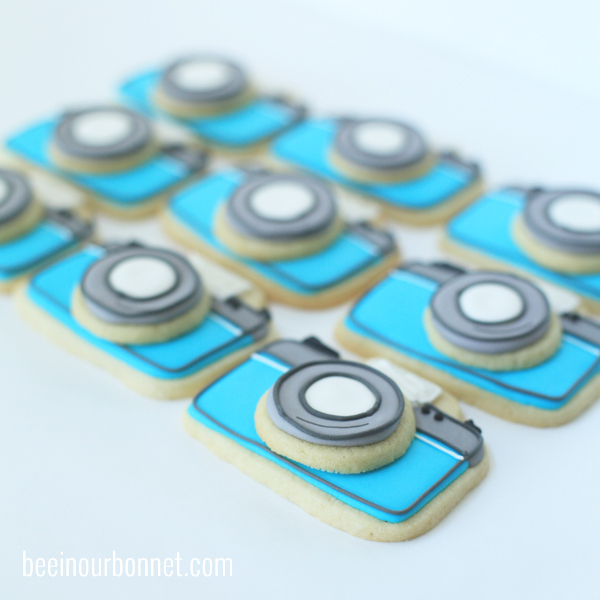 These little camera cookies were some of my favorites I made last year. I have a petit little camera cutter that made these little (2″ x3″) cuties. I knew from the start, they needed to be 3-D to get the effect of a camera lens. This circle cutter didn’t come with the set, but I just grabbed the smallest one from my favorite cookie cutter set. With a picture this close-up, you can see all my imperfections and shaky handedness, but it doesn’t stop these cookies from being adorable. I’ve only made a couple of Double decker cookies, but it makes me want to take pictures, (and eat them) from every angle. 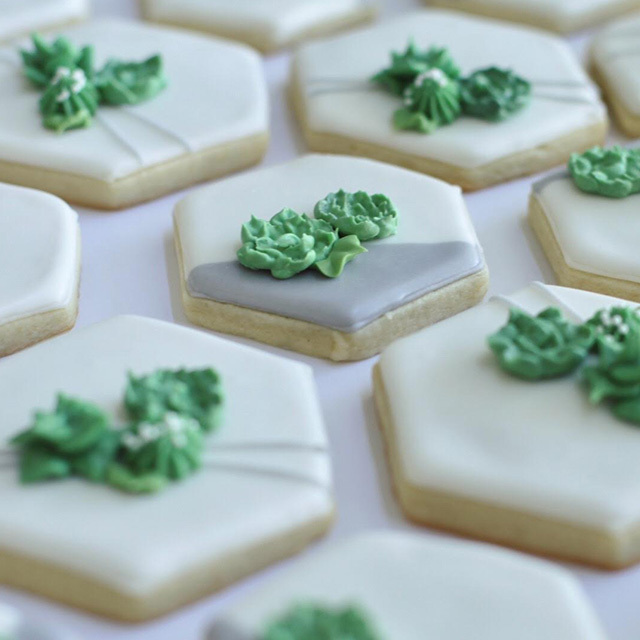 The “lens layer” was frosted separately, then after they were both dry, I put a dime-sized drop of royal icing down to stick the layers together. They held like a champ. I was thinking that they would need to be pulled apart to eat because of the 3 layers of hardened icing, but they were actually delicious to eat all together. My cookie recipe is soft, so biting through all the layers was still soft and delicious! Yay! 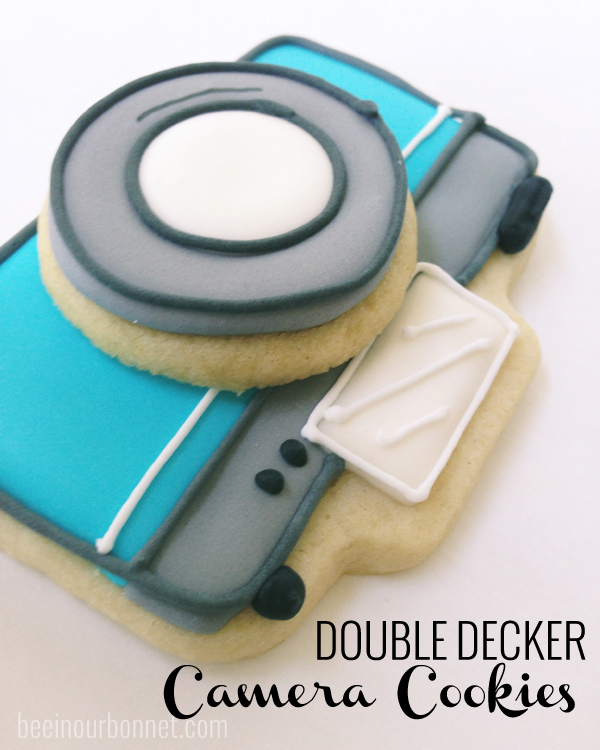 These cookies are the perfect gift for your favorite photographer, or anyone who can appreciate a double-decker sugar cookie! 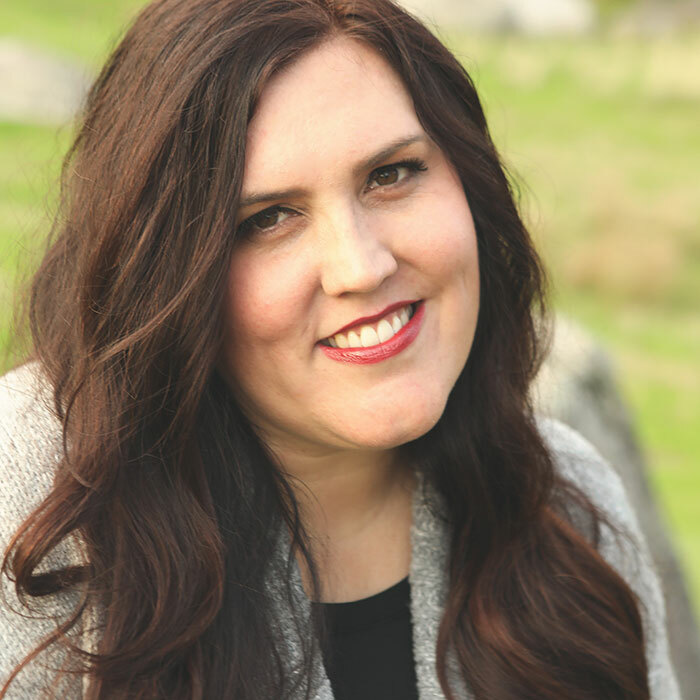 So, say… Cheese! Or say… Cookie! Because whoever you make these for, is going to smile! Is there anything that you can't make into a cookie? So cool. Once again, I am in love with your cookies! 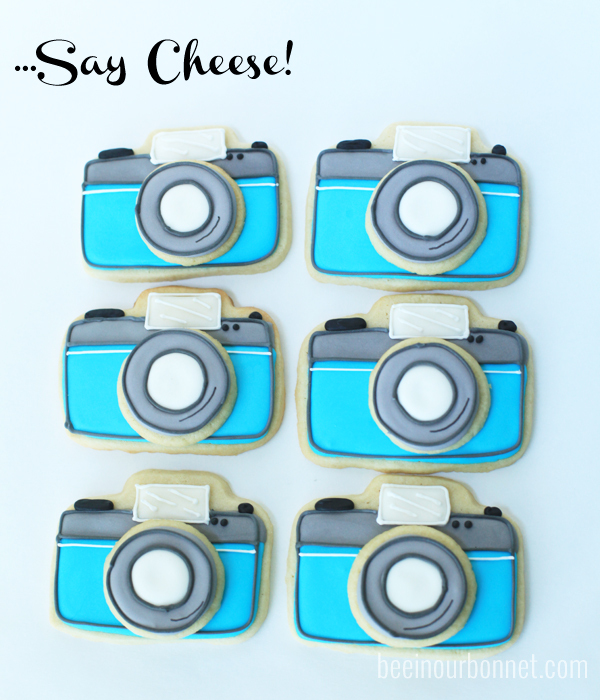 I actually have camera and lens plain sugar cookies I made in the freezer, but I haven't decorated them yet. Now you have me re-thnking them in a new (cuter) direction:) THANKS!